To understand what’s happening here, we need to take a close look at the road on which the test is being performed. The rider is actually going downhill on this road that’s why he’s able to achieve 150+ km/h. Also, note that the speedometer reading is not always correct as there is at least a difference of 8 or 9 km/h in the real top speed. 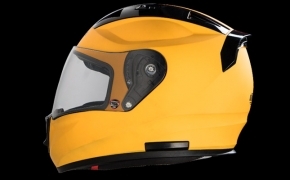 As a result of the top speed, even on a downhill, will actually be around 145 km/h. 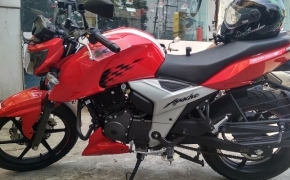 Apache RTR 200, the one shown here is a carb variant, which produces around 20 HP and has a top speed of around 125-130 km/h. 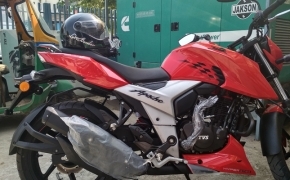 The bike also comes with a Fuel Injected variant which produces around 21 PS of power. The overall design of the bike is of a naked roadster and it stays true to that range. The comfortable speed to ride around on this bike is 110-120 km/h. There is also a lot of windblast if you chose to ride the bike on a moderately windy day. The bike also has a similarly designed 160 cc model which has a straight handlebar and makes less power. 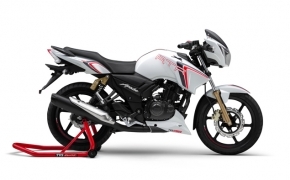 The latest edition of this bike is the RTR 200 4V Race Spec 2.0 ART edition. It features a "Slip & Assist" clutch as standard, along with a small windscreen. It also features two variants, one being equipped with twin channel ABS and the other with FI. There is no model yet which comes with both Fi and ABS as an option but it will be available after the ABS rule becomes mandatory in India after April 2019. With the RTR family already consisting of so many members, does it makes sense to bring out a 180 4v model? Let’s compare RTR 160 4v and RTR 180 to see how much different of the on-road performance do these guys translate. 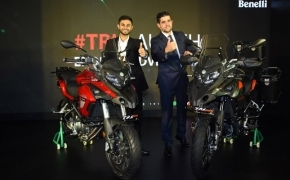 Bajaj Pulsar NS160 has two new competition in two consecutive days, in the form of Honda X-Blade 160 and Apache RTR 160 4V. 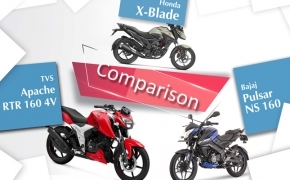 All three motorcycles fall under the same category of naked bikes, and are also priced quite similarly. 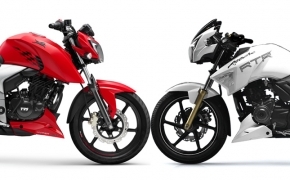 But the similarities end there, as the bikes have different stuff to offer. 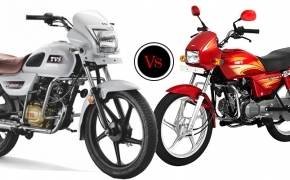 Here's a quick comparison between the three motorcycles, choosing the winners in every aspect. It is often the case that the "scooter-crowd" gets ignored by the media because they are not as fast and fun to ride as the motorcycles. 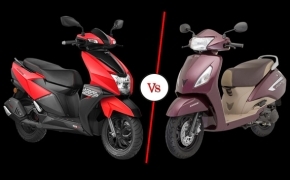 That's why today we are going to compare 2 capable TVS scooters, The Ntorq and The Jupiter ZX-Disc, in order to determine which one is best for you. 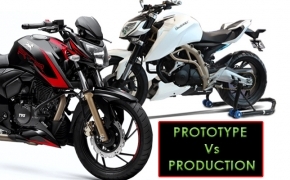 The prototype is defined as “A first or preliminary version of a device or vehicle from which other forms are developed”. Why is it so that the product made before usually looks more advanced than the product developed after its worked upon? Let’s dive in and check probable reasons. 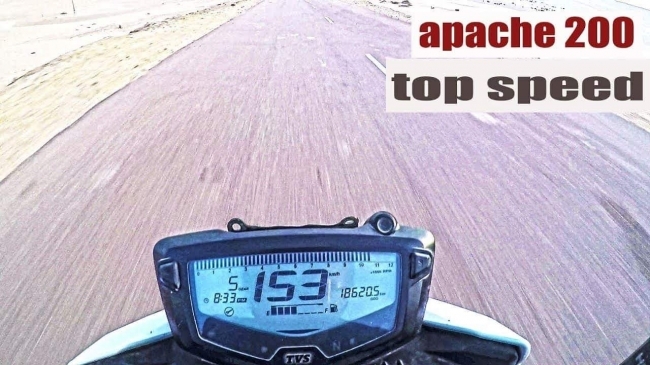 What to expect from updated TVS Apache RTR 180? 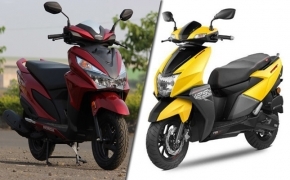 From Honda to Bajaj, Colour update or as the Motorcycle Industry likes to call it “Graphical Update” has been the Ultimate tool for Manufacturers to justify releasing a “new” model of the same bike. It has become nothing short of a half-baked attempt to lure in more customer, in order to hand over them the same old product. We think its about time that this whole “process” must update itself, as no longer a simple colour update supports the definition of a revised Motorcycle. Before I begin, let me get obvious out of the way. 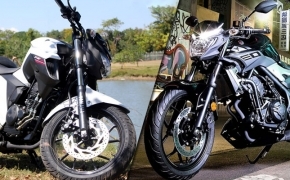 Yamaha FZ 3.0 has low power and torque output figures than its competitors. With this and seemingly the only flaw about the bike, out of the way, let’s discuss why the Yamaha FZ 3.0 is a great 150cc motorcycle. 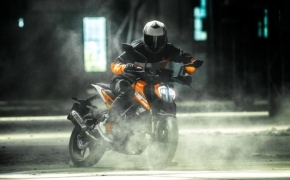 The bookings for the Duke 125 are now open and its ex-showroom price will be around Rs 1.25 lakh, which puts it in a highly competitive zone. Still, we believe that India is the most unique market in the world where chances of anomalies are very high. That’s why we have come up with a list of reasons explaining why the Duke 390 will be a success and why it won’t be. 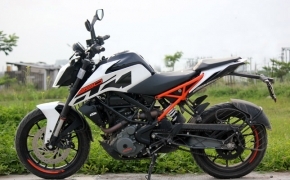 KTM Duke 125 Maybe Coming But Do You Want It? 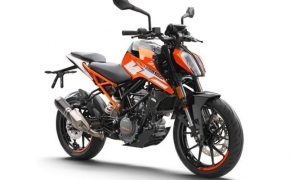 I am sure that you guys have heard by now that the 2019 Duke 125 is allegedly coming to India but the question of its Value proposition still remains. How many people in India would want to buy a 1.5 lakh Motorcycle having a 125 cc engine? Well, let’s try to answer that. We all have heard about the MT-03 series from different places around the Internet. So far, most of us know two things about the bike. Number 1, it is a Naked motorcycle from Yamaha and Number 2, it is not available in India, with no plan to launch either. But exactly how different is the MT-03 from the FZ-25 which we get in India. Both bikes just have a 72 cc (249 for FZ-25 & 321 for MT-03) difference, are of the same type, and made by the same manufacturer. All of this must point to a huge number of similarities, right? well, no. Allow me to explain.